Posted on October 23, 2017 at 1:46 am. UK regulators are targeting gambling operators for their use of certain colours, cartoons, and comic book images in advertising material. Last week, we reported that local media outlets had condemned gambling operators for using graphics which reportedly appeal to children. And although industry experts pointed out that these type of graphics appeal to adults too, the UK Gambling Commission (UKGC) and the Advertising Standards Authority (ASA) have signed a letter ordering operators to remove specific content which could lure children to gamble. The letter orders more than 450 casino gambling operators to immediately “amend or remove” any ads on online gambling sites or in third-party media, which could appeal to people aged 17 and younger. The letter, which was also signed by the Committee of Advertising Practice (CAP) and the Remote Gambling Association (RGA), states that the restrictions only apply to material which is publicly available to view. For example, emails and subscription newsletters are likely to be exempt. “This relates particularly to freely accessible ads for play-for-free and play-for-money games and includes all graphics and images displayed on a website or in third-party media,” the letter adds. The regulators said since most of the online casino games are free to play, and they “appeal to children”, minors are at risk of developing a gambling habit. While approximately 450,000 children are said to gamble in the UK each week, it’s not clear if they’re attracted to specific games featuring certain cartoons, graphics, or colours, or if they would play the games anyway. However, the regulators have warned that they will sanction operators if they fail to comply with the CAP code, which states marketing communications which “appeal to children or young persons, especially by reflecting or being associated with youth culture” are prohibited. Chair of the Local Government Association’s Safer and Stronger Communities Board, Simon Blackburn, has praised the UKGC and ASA for taking steps to restrict gambling advertising “to protect children”. “It is vital our children and young people are kept safe and protected from the problems gambling can cause,” he said. Gambling means to play a game for money – there’s a level of risk involved for a desired result. If children come across online casinos licensed by the UK, they can only play games for free as age verification checks prevent minors from creating accounts. 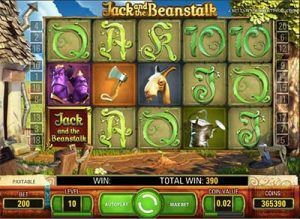 Children are likely to come across online casino sites even if gambling operators don’t use characters from fairytales, for example. And since gambling isn’t about the games, it’s about the risk involved, children playing games for free can’t develop gambling habits. However, it appears the issue at hand is whether the games attract children due to the use of characters from materials which children enjoy, like storybooks. But there are movies which take popular children characters and transform them into adult-only movies. For example, the Hansel and Gretal 2013 film is R-rated, despite focusing on children’s books characters. Online games are unquestionably marketed to players over the age of 18. Colours, graphics and cartoons all appeal to adults who like fairytales, comics, and other characters from movies and shows, which are restricted to mature/adult audiences only. The operators targeted have the appropriate policies in place to prevent children from gambling, and to say they are targeting minors is heedless given the gambling sites want customers who can gamble with real money.